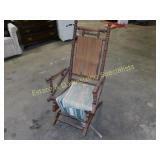 Go to www.edsindiana.com and click on the ONLINE AUCTIONS button for full catalog. See below for all Times/Details/Terms & Conditions. EDS is ALWAYS open on Tuesdays & Fridays from 1-6PM. EDS Is located at 701 S Ransom Lane on Bloomington's near west side. We are one mile W of College Ave Krogers and 1.4 Miles east of the 69/2nd street interchange. We are on the corner of W 2nd St & Ransom Lane across from Bland's Auto Lot. E Mail us at EDSonlineauctions@gmail.com for answers to ANY QUESTIONS. We do ship in-house when feasible. Large & heavy items may not be cost effective to ship. Please consider shipping cost when bidding. This Online Only Auction Opens - Tuesday February 5th 2019 - NEW LOTS MAY BE ADDED up to preview! First Lots Start to Close at 7 PM Local - Wednesday Feb 20th at 7PM Preview Date at 701 S. Ransom Lane, 47403 - Friday Feb 15th 1-6PM Checkout/Pickup at 701 S. Ransom Lane, 47403 - Thursday Feb 21st, 1 PM to 6 PM and the following Friday, 1 PM to 6 PM. Items not picked up in the first week (Thursday & Friday), may incur a storage fee, as we have been having issues with items left here for too long. Bidders who do not pay or contact us will be reported to HiBid. Bidding at an Auction and winning is a contractual agreement to pay in Indiana. We will pursue collection by all means necessary for non-paying bidders. 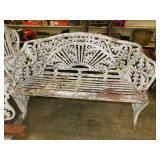 Disclaimer - All of our items are estate items and are used unless specified as new. Do not assume anything will be included with used items unless they are pictured in our listings. If it is still unclear, contact us or come to the preview. E Mail us at EDSonlineauctions@gmail.com. 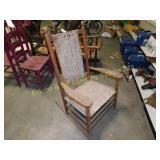 WELCOME & THANK YOU Estate & Downsizing Specialists LLC wants to thank you for bidding in our On-Line only Auction. 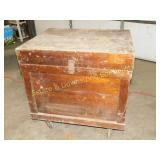 This Auction is being conducted pursuant to the Laws governing Auctions in the State of Indiana. Email inquiries are preferred. Please feel free to email us at EDSOnlineAuctions@Gmail.com with inquiries and questions. Our Staff will answer promptly in the order they are received. We normally answer emails once a day so be patient. Please don't wait until the last minute to email, as the close of the auction will be a very busy time. If you call our office and they can't answer your questions, a qualified auction staffer will return your call. Phone 812-822-2508. NEW LOTS MAY BE ADDED New lots may be added to any of our auctions up to the Friday before the Monday close of the sale. No lots will be added in the last 3 days. 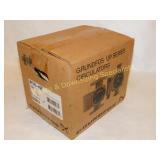 PICK-UP - SHIPPING & HANDLING Most everything in our Auctions can be shipped. Local pick-up is expected on Tuesday following the sale (see details above) unless other arrangements are made with Estate & Downsizing Specialists LLC. EDS is open for pick up & preview on Tuesdays & Fridays from 1PM to 6PM. We are located at 701 S Ransom Lane Bloomington IN 47403. We do have a professional shipping department. If you require shipping you must email us at the close of the Auction. You may receive an invoice. 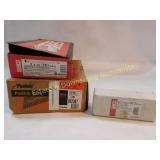 We will re-invoice you with shipping charges and make payment arrangements. Remember, all S&H arrangements and costs MUST BE PAID WITHIN 48 hours of the close of the auction. We will not automatically charge your card. You must communicate with EDS on Tuesday following the sale if you want your items shipped. S&H Charges for winning Bidder's purchased items will be sent via email at close of the Auction. Combined shipping will be calculated based on overall purchases and size of shipment. LOT DETAILS AND GRADES - LIVE AUCTION PREVIEW DATES Estate & Downsizing Specialists LLC and our staff are not professional graders or experts. Though we have made every effort to give our best analysis of condition, grade and quantity, please see our many photographs and judge for yourselves. All items are sold as-is and all sales are final. Please look closely at pictures, that's why we take them. Estate & Downsizing Specialists LLC makes no warranties or guarantees of condition. Please ask questions if necessary at EDSOnlineAuctions@gmail.com. We recommend that you attend the preview dates (details above) to look at the lots of interest to you. The preview gives you a chance for a hands on look of auction items and lots. Doors will open at 1PM and close at 6PM. Preview is at 701 S. Ransom Lane, Bloomington IN. AUCTION START & CLOSE DATES Details above. 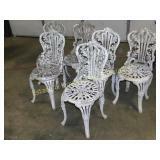 Auction lots will have a staggered ending starting at 7:00 PM EST on Mondays normally. Stagger time will be 30 seconds to 1 minute depending on the total lot count. Bid early and often on the lots you want. You may not be able to manage every lot of interest at the close. SOFT CLOSE OF LOTS Soft Close on this auction. Any bids placed in the last two minutes of time remaining will extend the total time. 10% BUYER'S PREMIUM 10% Buyers Premium Applies to this auction. Example: If you bid $100 on an item , the final price will be $110. 10% Applied to the final bid plus any applicable taxes. SALES TAX 7% Indiana Sales Tax will be charged for all buyers. If you are Tax Exempt we must have your Exemption Certificate on file before the close of the auction. No Lots will be released on a Tax Exempt basis until EDS has a current copy ON FILE. 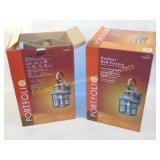 Certificates can be emailed to EDSOnlineAuctions@Gmail.com. PAYMENT Winning bidders that are picking up at close of sale may pay for items at pickup (Credit or Cash). Winning bidders that require shipping will be contacted at close of sale within 48 hours for shipping/payment arrangements. Buyers who are not coming to pickup items, but must have them shipped will need to be contacted by our staff in order to process payment. 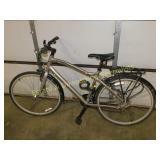 If you cannot meet the terms of payment by credit card and pick-up of items PLEASE DO NOT BID IN THIS AUCTION. A credit card is required to be on file to register for this auction. This credit card will be retained by Estate & Downsizing Specialists LLC until such time as bidder/buyer closes his purchase account with the Auction Company. Registering for this Auction , as part of the agreed terms and conditions, authorizes Estate & Downsizing Specialists LLC to charge bidders/buyers credit card on file, for all fees, purchases (final bid amount), taxes and related items, including S&H costs if item is to be shipped to bidder/buyer. Pick-up location is 701 S.Ransom Lane, Bloomington IN. Any items purchased must be picked up at time and location listed in these terms unless prior arrangements are made with Estate & Downsizing Specialists LLC. NOTE SOME ITEMS IN THIS AUCTION WILL NOT BE AVAILABLE FOR SHIPPING, THESE ITEMS ARE MARKED "LOCAL PICKUP ONLY" AND CAN ONLY BE SHIPPED BY THIRD PARTY SHIPPER VIA YOUR ARRANGEMENTS. 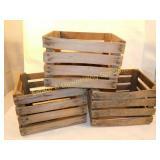 We do offer in-house shipping for out of area buyers. All costs associated with shipping and handling are the responsibility of bidder/buyer and must be paid in full at close of auction. Indiana Sales Tax will be charged at 7%. All credit cards must be approved and on file for registration. All payments are due immediately after the close of the Auction per the contract created by the Auction process. Payments will be processed at the close of the auction charging all expenses due for bidder/buyer purchases. Payments will be charged to the credit card on file with the auction company from the registration process. Bidder/buyer agrees to pay all charges legally due using this process by registering for this auction. Any card declined for payment will result in a $35.00 service fee added to the final payment due for handling of the declined payment. In the event that you will need to use an alternative payment please advise us by email to EDSIndiana@gmail.com immediately following the close of the auction. A printed paper invoice will accompany all orders at pick-up. All transactions will be paid in US Dollars. TECHNOLOGY DISCLOSURE The Auction Company, Estate & Downsizing Specialists LLC has created Internet Auction environment for buyers. This technology, along with your personal Internet connections and equipment, can fail. In the event you are unable to complete the bidding process for any reason, Estate & Downsizing Specialists LLC is not liable to any bidder for loss of time, expense or damages. By registering for this Auction buyer/bidder agrees to hold Estate & Downsizing Specialists LLC harmless for any damages or expense as a result of a technology malfunction. Bidding is the responsibility of the Buyer and should be done with technology issues as a consideration, bidding early and often to assure they are the winner on the lots they are interested in. Estate & Downsizing Specialists LLC is an agent for the Seller and in no way represents the buyer/bidder legally. 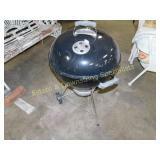 Seller or Auctioneer may withdraw or change the items being sold in this event at any time and at their discretion. Estate & Downsizing Specialists LLC reserves the right to withdraw any bid for any reason. Bidding in this auction creates a binding contract obligating bidder/buyer to complete the purchase transaction per the terms listed here. PLEASE NOTE - If two bidders place high bids that are the same amount, the FIRST recorded bid becomes the winner. YOUR BID IS A CONTRACT TO BUY Effective and enforceable immediately when you become the high, winning bidder, you have agreed contractually to your puchase per the laws of the State of Indiana. All property is sold "AS IS" and there are no returns, refunds or adjustments. Estate & Downsizing Specialists LLC makes every effort to accurately describe all lots. Descriptions, marks, identification and descriptions of the items will not be considered a warranty or guarantee of authenticity or value. We will make every effort to accurately describe these items. All bidders must be 18 years of age or older and competent to conduct a financial transaction. The bidder/buyer agrees to pay all costs associated with any collection process for the funds due the Estate & Downsizing Specialists LLC. This may include legal, court, time and ANY associated costs. The purchaser agrees that a fee of 10% per month will be added to the balance of any unpaid amount due to Estate & Downsizing Specialists LLC. This will include ANY & ALL costs associated with collection including damages. Remember before you bid, ALL SALES ARE FINAL. #109421 includes instructions and appears to have never been used. Please see pictures for details and condition. Heatfab brand gas vent assembly for use on category I, II, III o IV gas appliances with max flue gas temperature of 480 degrees F. Please see pictures for details and condition. Planes show moderate to heavy use and may be missing screws/nuts. Largest plane is unmarked. Please see pictures for details and condition. Grundfos brand up series circlators for heating & cooling systems. New in box with original tape seal. Please see pictures for details and condition. 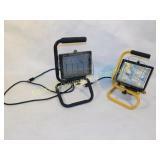 Both lights are in used condition. One is unmarked. Please see pictures for details and condition. 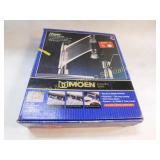 Portable miter saw stand measures 18" wide, saw has 24" blade. Please see pictures for details and condition. 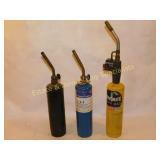 BenzOmatic TS 4000; Propane; and empty unmarked tanks.Please see pictures for details and condition. Each measures 18" x 15" x 12 1/2". Please see pictures for details and condition. 31" L Please see pictures for details and condition. 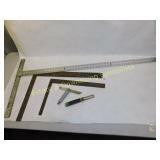 Lot includes 4 carpenter's/ woodworker's measuring instruments: 1 T-shaped woodworking ruler, 1 L shaped and 2 bevel squares- 1 Stanley 18 series and one General. Please see pictures for details and condition. All items are in good or new condition. 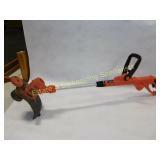 Geoproble Line cutter PN28751; Rigid 18" pipe wrench. Please see pictures for details and condition. 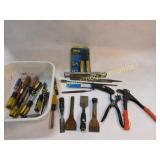 Includes nearly new Master Mechanic drill bit set complete; Eklind hex key set; Century drill bit set (missing some); NIB jig blades; Craftsman 1/2" straight router bit; wire brushes; and more. Please see pictures for details and condition. Adjustable display mode and charge rate. Please see pictures for details and condition. 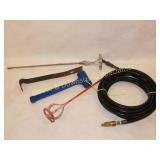 15" Prybar; 3/8" airhose with tire inflator attachment; Mallet; and 2 drill mixer attachments. Please see pictures for details and condition. 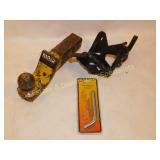 Rigid brand trailer hitch with ball, mount and 5/8" hitch pin & clip that are NIB. Please see pictures for details and condition. 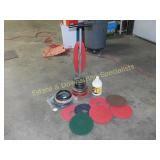 Includes 3X21" beltsander with belts model 315.117260; 3/8" Drill model # 315.269460; 1/2" Drill 315.101150. Please see pictures for details and condition. 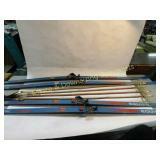 2 pairs of Spaulding Touring Eqipe cross country skis by Personico measure 83" long and 2 pairs of vintage Nordic brand poles measures 54" long. Please see pictures for details and condition. Please see pictures for details and condition. 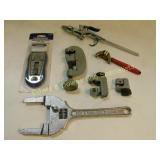 Lot includes box of assorted size & brand sockets and wrenches as well as complete 7 piece Rip-Tite set ranging from 3/4" to 3/8". Please see pictures for details and condition. In heavy used condition. Please see pictures for details and condition. Some components show rust but all parts appear to be present. Please see pictures for details and condition. 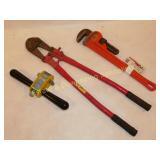 Approximately 30 mixed, loose end wrenches of different size and manufacturer. Please see pictures for details and condition. Lot of 3 electronic items includes Garmin E-Trex GPS locator, iRobot vacuum sensor and NIB Sima universal AC/DC high power USB plug with adapters. Please see pictures for details and condition. 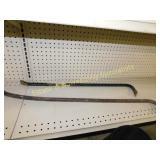 22" Please see pictures for details and condition. 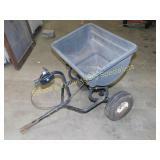 Lot includes galvanized bucket with 18 1/2" diameter, has rust on bottom. 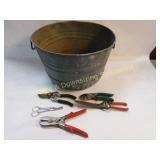 Also included are 5 sets of pruning shears of varying cut intensity. Please see pictures for details and condition. 2 Recessed Vision #152 lights; Regent Reflector Halogen 150W floodlight; Regent Reflector Halogen 500W floodlight; Recessed lighting kit for insulated ceiling Quantus accent light #349-1726. Please see pictures for details and condition. 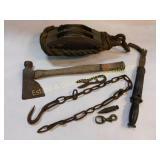 Wooden Pulley measures 18" and is in heavy used condition; Hatchet is 18" L with significant rust; Drop plumb weight is in used condition; Please see pictures for details and condition. 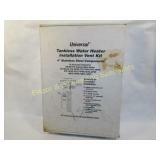 NIB in original shipping boxes with original shipping invoice- lists items as: utility newel 3 x 43 and 2 poplar opening newel caps. Please see pictures for details and condition. 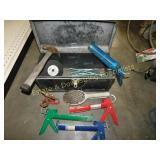 Lot includes 2 pneumatic air nozzles, 10" slip & lock nut wrench, C-clamp, 2 small clamps and NIB Warner glass scraper. Please see pictures for details and condition. Tested working. In used condition. Please see pictures for details and condition. Large lot of miscellaneous electrical components includes: light switches, outlets, outlet covers, light switch covers, cable splitters and thermostatic mixing valves. Please see pictures for details and condition. 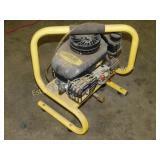 2 1/3 HP saw is in heavy used condition. Please see pictures for details and condition. 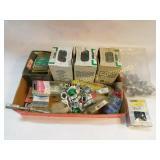 Includes deck screws; aluminum rivets; self-drilling hex screws; screw hooks; 2 boxes of coarse thread screws; and more. 3 boxes of nails for pneumatic nail gun includes: Senco brand 2 1/2" 15g nails, Senco 3" x .131 framing nails and Paslode 2-3/8 x .113 ProStrip. Please see pictures for details and condition. Most items are NIB. 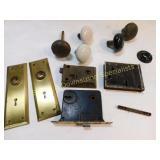 Includes 6 hinges; Newel fasteners, mount plate kit, and corner brace. Please see pictures for details and condition. Includes 10 rotators; Pressure Compensating Emitters; 1-4 port manifold; and more. Please see pictures for details and condition. 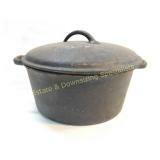 Granite ware pot measures 8" tall with 14 1/2" diameter. Please see pictures for details and condition. Includes 15 9W A19 Halogen bulbs; 2 60W Eco-bulbs; 8 misc. 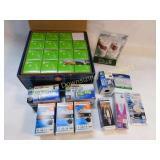 Halogen bulbs; and more. Please see pictures for details and condition. 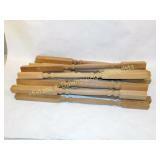 Lot of 18 spindles: 14 measure 38", 1 is 35 1/2", 1 is 32" with screw in bottom and 2 are 33" with screws. Please see pictures for details and condition. 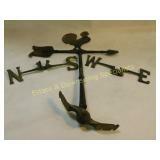 Show significant rust and measures 10" W X 4 1/2" H. Please see pictures for details and condition. Untested. 16" blade. Please see pictures for details and condition. Untested. Includes manual and other items. Model 358.341900. Please see pictures for details and condition. 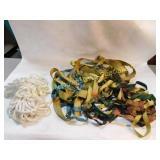 Lot includes 6 ratchet straps of varying size, 1 hook, 1 large hook and 1 large bundle of nylon rope. Please see pictures for details and condition. Untested. In used condition. Please see pictures for details and condition. 12 V DC. Maximum boat size 15" and 5000 pounds. Line speed 6ft. p/min with load. Please see pictures for details and condition. Cigarette lighter adapter for power. Please see pictures for details and condition. 11 1/2" H with double handles showing significant rust. Please see pictures for details and condition. 2 crow bars. 1 measures 30" and other is 35". Both are rusty. Please see pictures for details and condition. 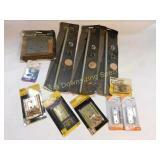 Has metal hinges & corner reinforcers and dovetail joints. Inside includes top tray and chain. Has printing stenciled on wood. 26" W X 11" H X 19 1/2" D. Please see pictures for details and condition. 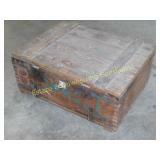 Large wooden storage box measures 25 1/2" x 30 1/2" x 31 1/2". Please see pictures for details and condition. 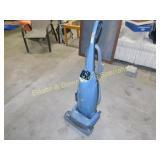 Includes 10 buffing pads; 1 brush; opened jug of floor finish sealer; Cleaner is Model ORB550MC. In used condition. Please see pictures for details and condition. 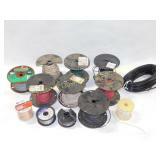 Large wire lot includes 50' indoor copper building wire, 250' 600V wire, 100' type UFB wire, 250' indoor wiring, 250' 600V wire and 100' 600V wire. Please see pictures for details and condition. Includes 4" X 40" terrace board NIB; wiring and lighting. Please see pictures for details and condition. 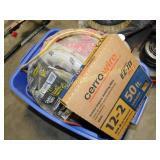 Lot includes jumper cables, 25' extension cord NIB and loose 25' extension cord. Please see pictures for details and condition. 18 gauge; 600 volt; 12 gauge; 1219/W; and more. Please see pictures for details and condition. 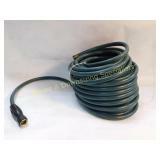 Large lot of outdoor irrigation items includes numerous assorted PVC fittings and pipes, sprinklers and Melor brand HydroLogic 4 zone electric sprinkler timer. Please see pictures for details and condition. Untested. Please see pictures for details and condition. Untested. Missing some components. Please see pictures for details and condition. Measures 17" H X 14" W and is in used condition. Please see pictures for details and condition. 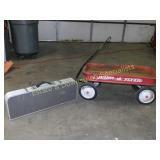 Radio Flyer wagon measures 36" x 17" x 14" and shows signs of use & rust. Pack away kitchen measures 31 1/2" x 10 1/2" x 4" when folded away. Please see pictures for details and condition. 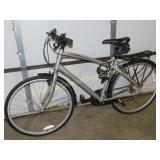 Globe band 27" 7-speed ergonomic bike w/rack. Please see pictures for details and condition. 7 Speed bike includes rack and behind seat pack. Please see pictures for details and condition. Probably part of an old spinning wheel. Measures 75" tall. Please see pictures for details and condition. 38" H X 25 1/2" W X 19 1/2" D showing loss of finish and chips in front of seat. Please see pictures for details and condition. Measures 43" tall, 26" wide and has 17 1/2" seat. Please see pictures for details and condition. Has compression but unfired. 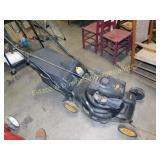 XT675 149cc 6.75 torque bagging mower. Please see pictures for details and condition. Has compression but unfired. 22" rear discharge with mulch bag & Fresh Start technology. Please see pictures for details and condition. Untested. 4.0 HP hose not included. Please see pictures for details and condition. Untested. 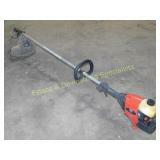 Craftsman convertible extended reach 4 cycle string trimmer with attachment. Please see pictures for details and condition. Tested working. Please see pictures for details and condition. Chairs measure 36" tall and seat is 16". 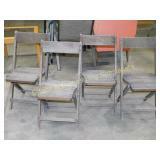 Chairs show signs of chipping paint and use. Please see pictures for details and condition. 54" L X 34" H X 21" D showing significant loss of paint. Please see pictures for details and condition. True HEPA filter, 12 amp upright vacuum measures 45" tall. Please see pictures for details and condition. 23" deep in very good used condition. Please see pictures for details and condition. 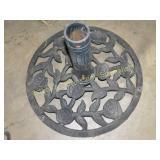 Rose pattern cast iron outdoor umbrella stand measures 18" tall with a 25" diameter. Please see pictures for details and condition. 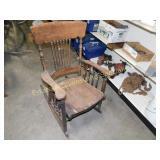 42" H X 22" W X 16 1/2" D. Chair back has worn cloth back with metal seat bottom. Chair show significant loss of paint and rust to wire components. Please see pictures for details and condition. 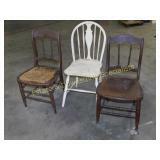 2 brown chairs are 33" tall, seats are 16 1/2" deep x 17" wide, white chair measures 35" tall and 15 3/4" deep x 16" wide. Please see pictures for details and condition. 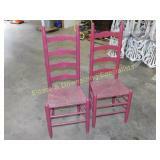 43 1/2" H X 17 1/2" W X 14" D. Seats show wear and overall chairs show loss of paint. Please see pictures for details and condition. 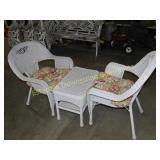 Chairs measure 37" tall, 24" deep x 28" wide, table measures 19" x 24 1/2" x 16". Cushions show signs of use. Please see pictures for details and condition. Coffee table has glass top and open shelf below measuring 37 1/2" X 22" X 19". 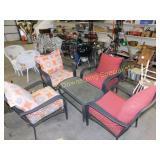 Chairs include cushions which show some fading, and measure 34 1/2" X 30" X 26". Please see pictures for details and condition. 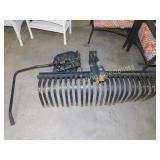 Lot includes Craftsman brand sleeve hitch and rock rake for tractor. 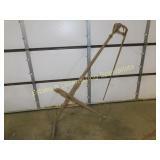 Sleeve hitch model #48624536, rock rake model # 48624537. Both show signs of use. Please see pictures for details and condition. 37 1/2" X 20 1/2" X 15" chest full of miscellaneous spindles and parts, plus additional wooden item. Please see pictures for details and condition. 210 lbs. of Power Rod resistance, upgradable to 310 lbs. or 410 lbs. Please see pictures for condition and details. Chairs show age and weathering. Please see pictures for details and condition. 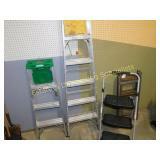 Lot includes 6' and 4' Warner aluminum ladders and 3 1/2' step ladder. Please see pictures for condition and details. 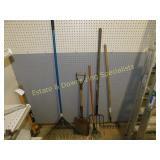 Yard rake, garden rake, shovel, pitchfork and small yard rake. Please see pictures for condition and details. 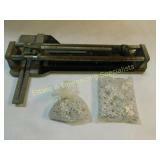 Trooper brand sledgehammers measure 35 1/2" and 36" long. Please see pictures for condition and details. Ladder measures 24' when unextended. Please see pictures for details and condition. Shows signs of rust & use. Approximately 22' when unextended. Please see pictures for details and condition. 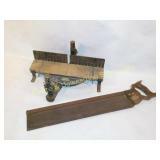 Lot includes poker, bellow, brush, dustpan and tongs in cast iron stand. Stand is 28" tall. Please see pictures for details and condition. Measures 17" x 20.75". Please see pictures for details and condition. 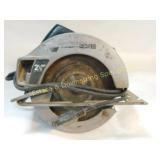 B&D 7 1/4" circular saw model 7310, 1.5 HP. 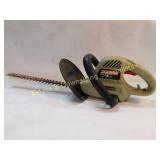 Skil model 524 2 speed jig saw with case and manual. Please see pictures for details and condition. Lot includes chainsaw key, Stihl 020 AVP Electronic chainsaw with 12" chain & bar, .095" Echo brand nylon string cutter line and Granberg chainsaw sharpener with original box. Please see pictures for details and condition. Model no. 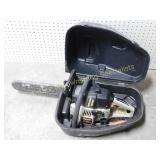 7301 B&D circular saw comes with original box, owner's manual and extra 7 1/4" circular saw blade. Please see pictures for details and condition. 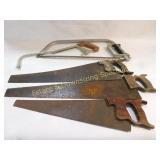 Lot includes 2 carpenters saws, 1 hacksaw, caged trouble light, one 255mm saw blade and 1 255mm grinding blade. Please see pictures for details and condition. Both are 36" long and show signs of use. Please see pictures for details and condition. Tested working. 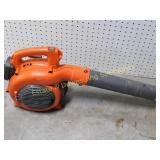 12 amp Weed Eater brand electric string trimmer. Approx 40" long. Please see pictures for details and condition. Approximately 58" long with approx 23" blade. Please see pictures for details and condition. Model# 37900 massage table skate with 2 quick release buckles. Measures 36.75". Please see pictures for details and condition. Small weeding scythe measures 18" long with a 12" blade. 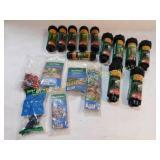 Also included in lot are approx 30 plant tags. Please see pictures for details and condition. Unmarked plastic spool stands 10" tall. Please see pictures for details and condition. Tested working. 3.25 horsepower, 16" blade. Please see pictures for details and condition. Steel soil sampler measures 21". Please see pictures for details and condition. Comes with3 different sized extensions. Please see pictures for details and condition. 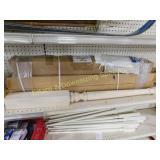 Large lot of Amerock Guardian brand cabinet hardware still in plastic packaging, some are opened. Comes with unopened PerfectMount system for drawers. Please see pictures for details and condition. Untested. Comes with hard shell case & blade cover. Unmarked Craftsman chainsaw has 18" blade. Please see pictures for details and condition. 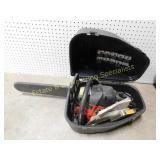 Craftsman model 315172320 auto scroll saw with owner's manual and hard schell case. Please see pictures for details and condition. Vintage Coleman Propane Lantern Exc. Cond. Model 5114A700 propane lantern in great shape. Comes with nylon carrying/protective case, original manual and 2 extra wicks. Please see pictures for details and condition. Model 320. 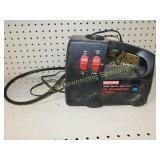 10870 14 amp 7 1/4" circular saw with Laser Trac. Comes with owner's manual and hard shell case. Please see pictures for details and condition. Shows signs of use and some rust. Measures 8" x 18" x 10". Please see pictures for details and condition. Craftsman model 113. 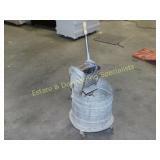 177790 wet/dry vacuum. Comes with original owner's manual. Includes a variety of attachments. Please see pictures for details and condition. Please see pictures for details and conditions. Model 8574-B. 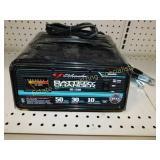 For use indoors on 110 volt 60 cycle. Northern Signal Company/Waters Instruments. Untested unit that comes with posts and insulators. Please see pictures for condition and details. Please see pictures for condition and details. 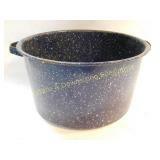 In good condition with moderate ware and use. Please see pictures for condition and details. Includes two collars, charger and base unit. Untested. Please see pictures for condition and details. 17', 300 lb Capacity. 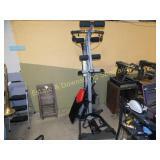 Includes branded trestle attachment. Please see pictures for condition and details. Measures 46" long. Please see pictures for condition and details. 1200lb capacity. Please see pictures for condition and details. Lot includes new, sealed full Sportcraft brand croquet set and 2 wooden baseball bats- 1 is an Adirondack 242J and the other is a Hillerich & Bradsby Co. 355B. Please see pictures for condition and details. All working, Chain Saw is LIKE NEW. 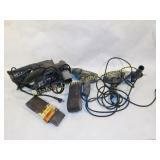 Lot includes Yardworks pole pruner, Remington Branch Wizard Plus and Black & Decker electric hedge trimmer. Please see pictures for condition and details. 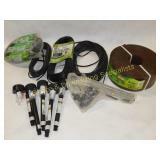 Lot includes Orbit Telescoping Gutter Blaster for hose hook up and Weed Eater Gutter Cleaning Kit for blower hook up. Please see pictures for condition and details. 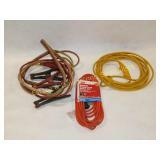 Lot includes Flame Engineering brand LP torch (no fuel), large pole saw, pruning shears and True Temper pruner. Please see pictures for condition and details. 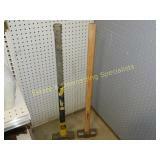 Lot includes 9 hammers and mallets of varying size and type as well as 1 small crowbar. Please see pictures for condition and details. Stands 13.75" tall. Please see pictures for condition and details. Sizes range from 10.5" to 17.5" in length. Please see pictures for condition and details. Two are size 6, one is E10. Please see pictures for condition and details. 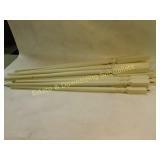 7 ball & point peen hammers range in size from 7.75" to 18.75" in length, 1 loose head is included in lot as well. Please see pictures for condition and details. Lot includes Micronta multimeter, Road Gear AM/FM/CD car stereo receiver, small mountable electric fan, Micronta 12V power supply and Radio Shack Pro 2030 scanner. Please see pictures for condition and details. Large lot includes approx. 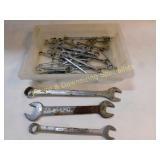 40 loose wrenches of varying size and manufacturer. Please see pictures for condition and details. Pair of Bolt Cutters 24" & 14"
2 bolt cutters, one large and one small. Large one is 24" long and smaller is 14". Please see pictures for condition and details. 5 C-clamps and 7 spring style clamps. Please see pictures for condition and details. All wrenches Craftsman or Sears branded. Please see pictures for condition and details. 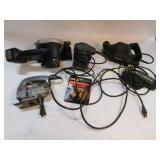 Lot of assorted motorcycle lights includes 4 headlights, 3 tailights and 1 turn signal. Please see pictures for condition and details. Tested works great. Model 1102, 115/230V 6/3A. Please see pictures for condition and details. 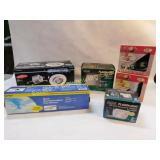 Stanley 450A, Everstart 6A and AccuMate 1.8A constant current. Please see pictures for condition and details. Included in lot are: Goldguard No. 9757 large car cover, tire iron, ratchet straps and rubber tie-downs, 1 7/8" loose ball hitch and 2" ball hitch attached to mount. Please see pictures for condition and details. Lot includes Power Shelf model 17150, 6 boxes of hardware, 2 toolboxes & contents and sealed roll of 48" x 25' aluminum insect screen. Please see pictures for condition and details. Lot includes 2 Realistic brand TRC-418 CB radios, Radio Shack TRC-401 emergency radio and Realistic TRC-424 CB with original box. Please see pictures for condition and details. Assorted sizes and functions. Please see pictures for condition and details. 6 piece Matco snap ring pliers in case comes with 2 loose snap ring pliers. Please see pictures for condition and details. Model PS098. Please see pictures for condition and details. 3 Ratchets, 2 Breaker bars and multiple sockets/extensions. Please see pictures for condition and details. Large lot of loose Blackhawk wrenches of varying size. Please see pictures for condition and details. Approx. 20 piece lot. Please see pictures for condition and details. 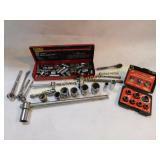 Lot includes exhaust cutter, clutch alignment, gasket punch set and cross bar dent repair kit. Please see pictures for condition and details. Lot of Impact Sockets, Mac, Snap-On, Misc. Approximately 28 impact sockets- some Mac and Snap-On. Varying sizes and manufacturers. Please see pictures for condition and details. Approx. 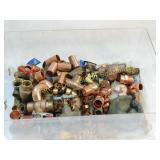 20 assorted swivel sockets, extenders and 1 large socket wrench. Please see pictures for condition and details. Lot includes Sabre Saw model POE 4406B with 6 wood and 8 metal Tool Shop blades in case, Black & Decker 1/3 sheet finishing sander, Performax 4.5" angle grinder and Wen hand sander. Please see pictures for condition and details. 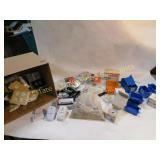 Mixed lot, assorted manufacturers and sizes. Please see pictures for condition and details. 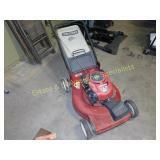 Lot includes Craftsman 2 1/8HP circular saw, Black & Decker U-100 drill with chuck and Tool Shop angle grinder. Please see pictures for condition and details. 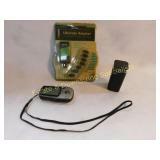 Lot includes 1 small and 1 large gauge digital rotor gauges. Please see pictures for condition and details. Approx. 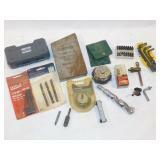 15 loose, assorted automotive tools. Please see pictures for condition and details. 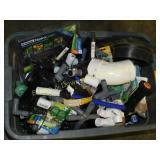 Lot includes chainsaw chain, paint bucket, paint stirrer, bb gun, novelty knife and more. Please see pictures for condition and details. Approximately 15 of varying size. Please see pictures for condition and details. 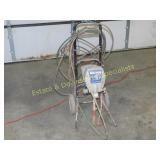 Lot includes pneumatic paint gun with hopper, length of pneumatic hose and fixtures. Please see pictures for condition and details. Measures 17" x 31" x 36". Box is locked with no key so contents are unknown. Please see pictures for condition and details. Rough condition-see images. Measures 14" x 26.5" x 50". Lot includes contents. Please see pictures for condition and details. 23" diameter, 65" tall, 1/3HP. Please see pictures for condition and details. 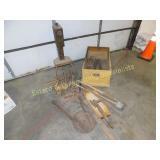 Lot of 5 jack stands includes one 2 ton, 2 Craftsman 2 1/4 ton and 2 Ram Tools 3 ton jack stands. Also included is a pair of metal vehicle ramps. Please see pictures for condition and details. Folding table measures 12" x 28" x 35", creeper measures 17" x 40". Please see pictures for condition and details. Starts & runs, head will not engage, appears to be cable issue. See video. Please see pictures for condition and details. Starts & runs, did not run water through it though, see video. 8.50 from B&S Professional series. 190cc motor, missing 25 degree nozzle. Please see pictures for condition and details. Runs great, see video. 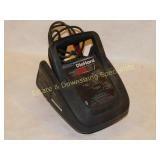 Corded 8.5 amp electric tiller measures 42" x 14" x 11". Please see pictures for condition and details. Untested. 18" blade, 40cc 2 cycle engine. Comes with hard shell case. Please see pictures for condition and details. Starts & runs, see video. 25.4cc gas powered 2 stroke engine, 145mph wind speed. Weighs 13.2lbs. Please see pictures for condition and details. 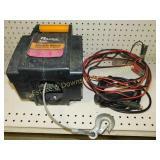 Starts & runs, electric starter included, see video. 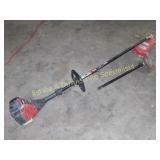 4 cycle TB string trimmer with TB electric jump start. Please see pictures for condition and details. Works as it should. By Agri-Fab. Please see pictures for condition and details. 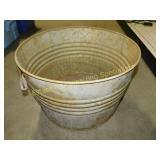 Tub has 20" diameter. Please see pictures for condition and details. In very good fully functional condition. Please see pictures for condition and details. Model 45-01011-999. Good condition with a little rust and a few dents and dings. Please see pictures for condition and details. Very good condition, stoutly made and comfortable. Please see pictures for condition and details. Good used condition. Please see pictures for condition and details. 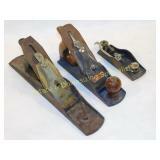 Large heavy duty shop vise and a small bench clamp vise, small vise has been broken with weld repair, see pictures. Please see pictures for condition and details. Tested & working. Please see pictures for condition and details. Runs exceptionally quiet and smooth, achieves pressure quickly, no leaks detected. Please see pictures for condition and details. New old stock. Untested. Please see pictures for condition and details. Excellent condition. Please see pictures for condition and details. Crockett & Eldonian English bits as well as a primitive American bit. Please see pictures for condition and details. Mixed wrap up lot. Please see pictures for condition and details. Compressor is used and has some wear & tear, aging. Works great, tested. Handle needs new bolts, missing one side and loose. Tires need air but not flat and appear to hold air. Otherwise a nice working tool.